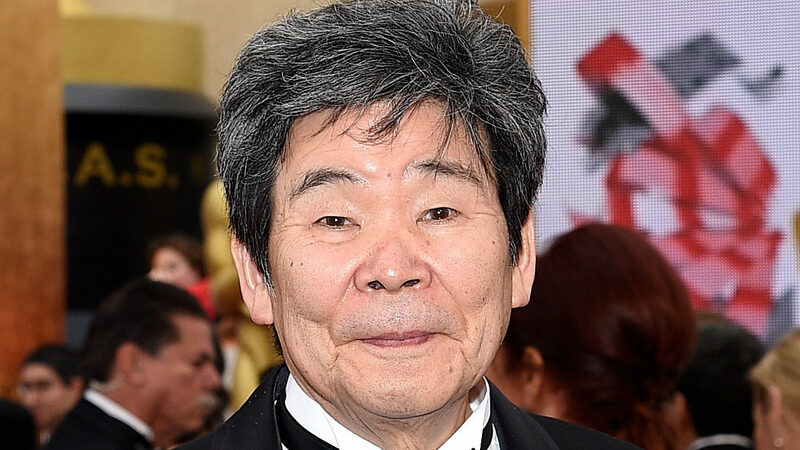 On April 5, 2018, director Isao Takahata died from lung cancer at the age of 82 in Tokyo, Japan. With a career spanning over 55 years, he was one of the most prominent artists in Japanese animation, specifically alongside Hayao Miyazaki with Studio Ghibli. His film career featured such harrowing films as Grave of the Fireflies, Only Yesterday, and the Oscar-nominated The Tale of Princess Kaguya. He had a long and storied career, and definitely influenced artists around the world to follow their dreams and make animation something more than empty blockbuster entertainment. His work will live on with its beauty and wisdom. Takahata was born in Ujiyamada, Japan on October 29, 1935. At the age of nine, he and his family survived a major United States air rad on Okayama City. It's an event that would influence his later films, such as Grave of the Fireflies. He graduated from the University of Tokyo in 1959 with a degree in French Literature. When he saw the French film The King and the Mockingbird, he felt inspired to become an animator. After applying for Toei Animation, he began to work on various projects, such as Wolf Boy Ken with Yasuo Otsuka. Otsuka would help him create his directorial debut The Great Adventures of Horus, Prince of the Sun. It was also here that he met Miyazaki, who was working at the time as a key animator. The film was considered a failure at the time, but would go on to be a defining work of modern Japanese animation. Takahata felt that he had done all that he could for Toei by 1971 and decided to leave the company. With Miyazaki and Yoichi Kotabe, they began to form the partnership that would lead to Studio Ghibli. After doing various productions, Miyazaki would create the film Nausicaa of the Valley of the Wind in 1984. Its success lead to them creating the studio where Miyazaki was the prominent director and worked almost exclusively in animated films. In 1988, Takahata made Grave of the Fireflies, which earned critical praise for its depiction of anti-war themes. While Takahata wasn't as prolific as Miyazaki, his work was just as acclaimed and they worked together on various projects throughout the years. Takahata's final film was The Tale of Princess Kaguya, released in 2013. It was around this time as well that Miyazaki announced his temporary retirement with the film The Wind Rises. Still, Takahata's film got critical praise and received an Oscar nomination for Best Animated Film. He would work on other films, such as artistic producer on The Red Turtle. However, he never made another film after this. It was a poignant way to go out, and capsulized a great career full of breathtaking animation and stories. His work will continue to live on, influencing the next generation of not only Japanese artists, but those around the work. The impact of Studio Ghibli in world cinema is almost unmatched, and it's owed in large part to Takahata's involvement. Things wouldn't be the same without him.